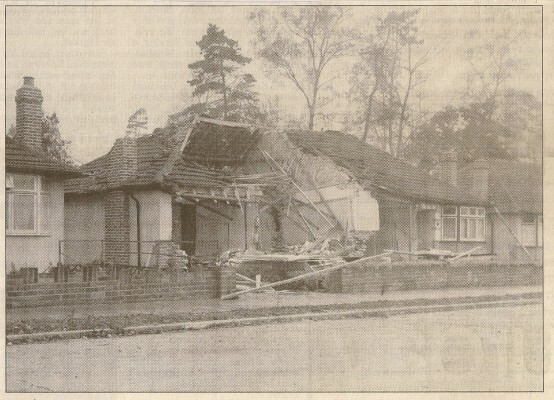 This picture is of a Bomb Damaged Bungalow, taken in the 1940’s. This Bungalow backs onto the Spinney & Railway, which was mentioned in David Taylor – Jones Essay ‘Steam or smoke’. This may be of interest to David’s readers.